After 25 years of working to improve customer experiences, I believe there are 7 key mistakes (or sins!) a business can make. Any one of them will mean that they don’t deliver a great experience for their customers. The second is DON’T SET EXPECTATIONS. Many businesses don’t think about what information the customer will want, or when they will want it, so don’t tell them. That leads to increased customer queries, meaning you have to hire more staff to handle them. Marketing your product or service – explaining how the customer can benefit. Don’t over promise!. Remember the style of marketing will set expectations. Don’t have glossy sales material followed by poor, basic after sales information. Product and service information – open honest communication. This is key for the features, the level of service, any timescales or costs. Administration processes – especially if the customer has a query or complaint. It is important to set out what will happen and when. Also, what you will do if there is a problem. Setting customer expectations has significant benefits for a business. 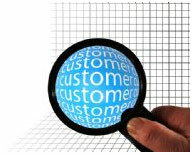 As the customer knows what will happen and when, they have fewer queries or complaints. That removes cost for the business. Also, it creates a level of comfort for the customer. That builds trust and loyalty, increasing the likelihood of renewals and referrals. When reviewing communications, ask “what would a customer expect to happen next”? and “what do they need to know”? Write the communications to set expectations and give the customer the information they need.